Long Distance Moving – Bronte Movers & Storage – Local Movers in Burlington, Oakville, Milton, Mississauga. We move people all over Ontario & Long Distance. Household moving, corporate moving, packing services, storage facilities, moving supplies, move management. Home of the piano moving experts. REACH YOUR DESTINATION 100% SURE AND SAFE, On Time, Secure, Reliable, Honest and Efficient. THE COMPLETE SOLUTION FOR ALL YOUR MOVING NEEDS! Get Your Long Distance Move Estimate Today! The key to a successful long distance move in Canada is careful planning. Bronte Movers makes the job easier. We are a team of seasoned professionals who move residences and offices every day. What may seem like an overwhelming task to some is all in a day’s work for us. Whether you are moving to or from Toronto, we’re more than equipped to help you out. Charges for your long distance move in Canada are based on the weight and volume of the items being moved, the distance they are moved, plus optional services such as moving a piano or hot tub. These charges will always be clearly outlined when you are reviewing your estimate with one of our moving specialists. Make travel arrangements for you and your family to get to your new residence, perhaps by car or airplane. Pets cannot be transported in the moving van so please include them in your family’s travel plans. Research your new city. The internet is an excellent source of city and neighborhood guides. Sort and redistribute unwanted items. Many charitable organizations have convenient pick-up services. Holding a garage sale is another popular option. Remember to look through your basement, attic, garage, shed, storage locker, etc. Service appliances professionally. Internal damage can be avoided when appliances have been properly prepared for moving. Remember that refrigerators cannot be plugged in for at least one hour after they have been put in their new location to allow the coolant to settle. Empty your liquid fuel powered lawn mower, snow-blower and weed trimmer. Flammable, explosive and hazardous materials cannot be transported in the moving van. Please Contact Us regarding any questions about whether or not a material is considered hazardous. Non-hazardous liquids will be packed separately and clearly marked so they do not spill and cause damage. Take down curtains, blinds, paintings and other items affixed to your walls. Please see our Moving Tips and customer expectations for more helpful hints. In addition to providing amazing moving service and a second-to-none industry claim rate, Bronte Movers & Cartage Ltd. will match ANY reputable moving companies estimate on long distance moves. 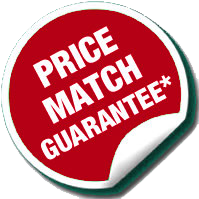 Our price match is based on an equal shipment weight and services to be provided. Bronte Movers services all major Canadian cities on a regular basis. Our main line is Toronto to Vancouver and vice versa. Trucks generally depart from both Toronto and Vancouver on a weekly basis and arrive at their destination cities in 7-12 days. The reason the trip takes 7-12 days is that they service pick-ups and deliveries along the way, but this transit time is still one of the fastest in the industry. The frequency of truck departures increases during our busy season from April to November each year. Wondering about a specific departure or arrival date? Just give our Dispatch department a call at 905-847-9638. We will be happy to provide you with our scheduled departures and arrival dates.